A woman who eight years ago lost her sight appealed for compassion by persons when they see visually impaired persons using the walking stick to live a more independent life. 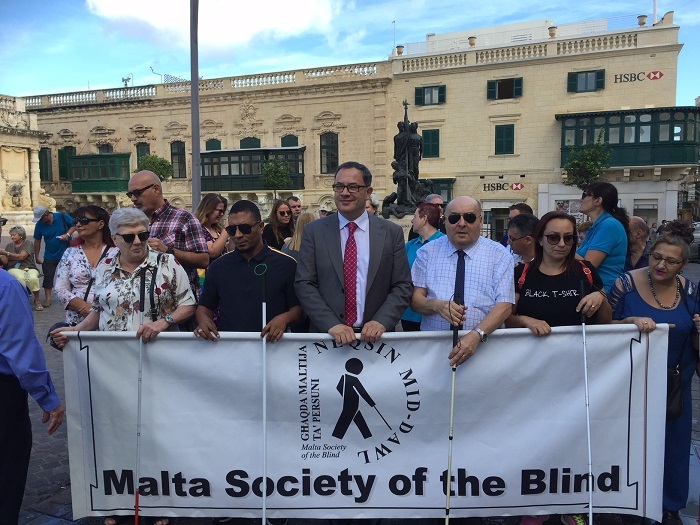 Marcelle Cremona was among many visually impaired persons who this morning participated in a walk organised in Valletta by the society of visually impaired people on the occasion of the day dedicated to the White Cane. The symbolic walk in Valletta was aimed at creating more awareness for compassion and support for persons with this type of disability. The Society’s President Frans Tirchett told TVM he hoped people would empathise and help when they see a person using a white stick, a stick which helps the visually impaired to lead an independent life. Marcelle Cremona told TVM that her life changed completely due to her condition. “My life changed drastically; however persons like myself need to continue with their lives. I am a person with courage and always found assistance from friends”. Visually impaired Rebecca Debono told TVM she ended up with a disability five years ago and despite the challenges, she also finds much assistance by friends. “During the first three years I was completely down, however thank God, I live with my siblings – the second family – we are united”. The Society’s President Frans Tirchett said that he appreciates the fact that much action is being taken in the country, such as specific pavements so that visually impaired persons can find their direction with the use of white stick. He appealed for more similar projects. He added “at the Tritons square the Government built a canal so that persons can place their walking stick in it; can go to the toilets or visit Parliament. These things are very useful”. President Marie Louise Coleiro Preca declared that a lot still remains to be done for the visually impaired to have enough support towards a more independent living. 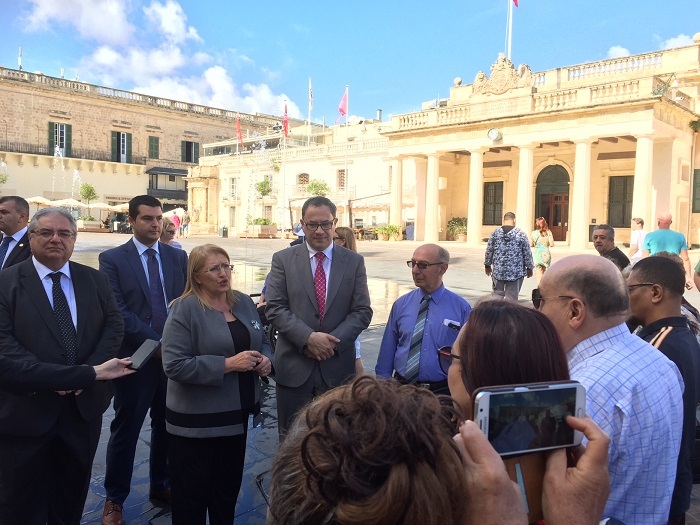 The President pointed out that there are 70 visually impaired students in Maltese schools, and through the President’s Trust they are to be given special equipment which will assist in their educational process. Parliamentary Secretary Anthony Agius Decelis, who also took part in the walk, had words of praise for the Society, which is being proactive and working on behalf of the visually impaired.